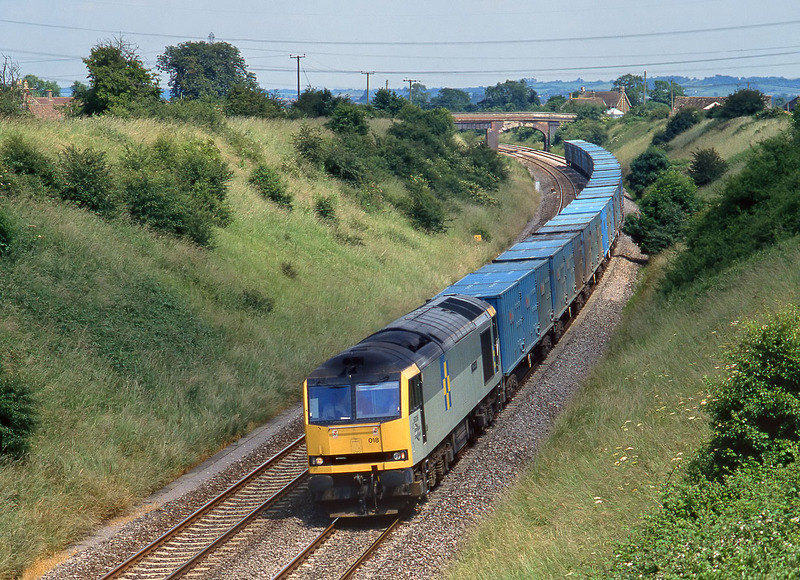 My only decent picture of a Class 60 working the Avon Binliner. 60018 Moel Siabod rounds the curve at Thingley on 25 June 1993 with the 6C13 11:22 Calvert to Bath empties. Starting off with Class 47s in 1985, there has been quite a variety of traction on this working, including 37s, 58s & 66s, but 60s only worked the train regularly for a short period. Obviously I will have to make do with this single picture, because the train stopped running in April 2011.